Rdio allows you to listen to the music you want when you want. This is a streaming service that competes with Spotify or Deezer. This software version allows you to access your account without having to use a web browser. This will allow you to control the player on the keyboard to move forward, backward or pause the sound. 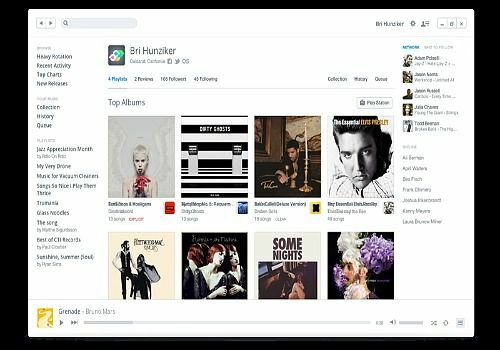 Thanks to its elegant and clear interface, you will be able to access both your music library and a catalogue of more than 20 million titles with new albums every week. You will find without fear the features of the web version such as the creation and management of playlists or the many radio stations made available to users. This 7-day trial version allows you to test the service. Afterwards, you will have to choose between the two subscriptions offered by Rdio.